Historiated initial R from a choir book, illuminated by the brilliant painter Attavante degli Attavanti. This initial most probably comes from a profusely illuminated missal that was commissioned by Pope Leo X (born Giovanni di Lorenzo de' Medici, 1475-1521) in 1513 or shortly thereafter for use in the Sistine Chapel in the Apostolic Palace. 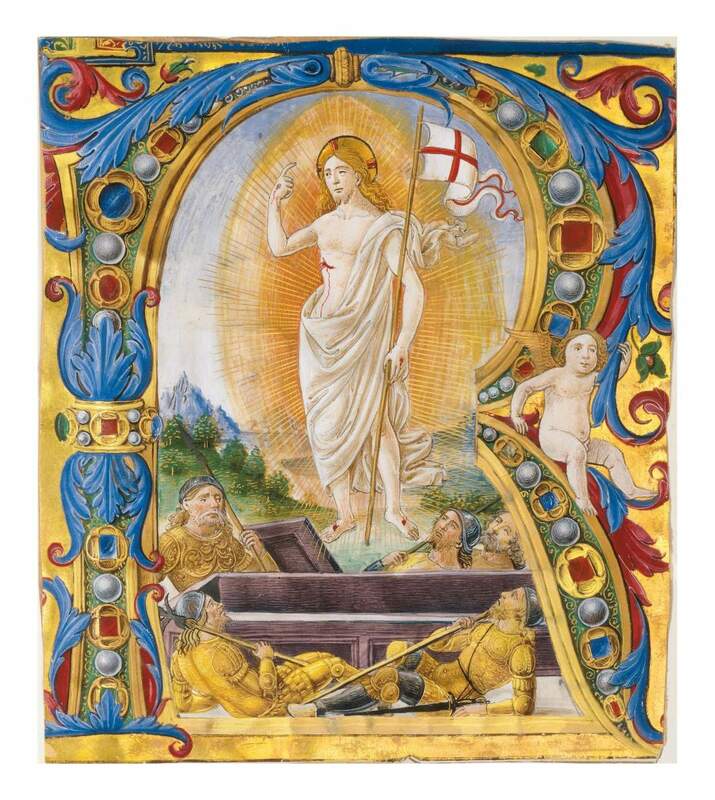 The painting is most remarkable for its vibrant and brilliant colouring that effectively places the white body of the risen Christ against a brightly shining aureole of gold and yellowish orange rays. In emphasising this contrast, the artist aimed at an illusionist spatial effect. Attavante degli Attavanti (1452-c. 1525) was one of the most important Renaissance illuminators in Florence and executed commissions for the Medici and aristocrats of high rank.